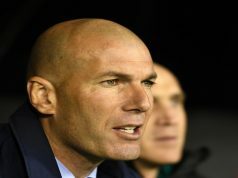 Real Madrid moved into the fourth spot in La Liga after earning their sixth consecutive victory. Los Blancos eased past Athletic Bilbao at the Santiago Bernabeu thanks to a hat-trick from Cristiano Ronaldo and a brace from Karim Benzema. Athletic made a terrible start to the match, conceding a goal after just two minutes. Ronaldo gave Los Merengues the lead catching a delightful cross from Gareth Bale and nodding home at the back post. 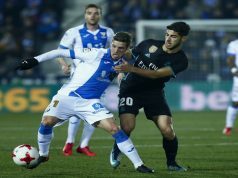 The visitors managed to regain their solidity after that, but Carlo Ancelotti men started threatening Gorka Iraizoz again at the end of the first half, and Karim Benzema made it 2-0 for the hosts. Luka Modric whipped a corner into the box and the Frenchman rose above the defenders to send a bouncing header into the top corner. 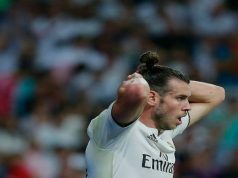 It was easy for Madrid after half-time, especially after Ronaldo scored his second in the 55th minute. Bale burst down the left again and laid a pass across goal for Ronaldo to tap it in. Bale scored a well-deserved goal, but it was disallowed for offside. However, a couple of minutes later Benzema made it 4-0. Modric sent a lovely pass through the middle for Ronaldo, and the Portuguese unselfishly found the France international, who netted it home. Yet, CR7 would still get his third hat-trick of the season. Two minutes before the end, the ball hit the forward’s elbow following a melee inside the box and went into the corner. Real Madrid sit now fourth in the table, four points behind leaders Barcelona. The have won their last six games, scoring a record 27 goals.